Proposed Wilderness in the Clearwater Basin of Idaho’s Bitterroot Mountains. This week marks the 50th anniversary of The Wilderness Act. Americans will be greeting this occasion in myriad ways. Wilderness lovers and protectors will be lauding our foresight as a nation to recognize the value of wilderness and codify that value with strong protections; many will be celebrating the 750-plus wilderness areas now protected under the act. Some will assess the uncounted acres of wilderness that have been lost to development, exploitation, and political failure, as well as the floundering health of this landmark legislation. A few members of Congress will be devising new ways to skirt or dissolve the act, along with every other environmental safeguard. And many Americans will watch the week pass never knowing there was anything special about it. I have worked for more than a decade as a conservation photographer and writer, and during that time I have documented numerous locations that epitomize Johnson’s divergent states of the land, “the world as it was in the beginning” and the world “after we got through with it.” The wilderness, and the once-wilderness, and some places that exist in sad limbo somewhere in between. Each has something to offer to the story of wilderness. The Anacostia River, in Washington DC, was once a wild paradise of rich diversity that nurtured a sustainable civilization of native people and abundant wild plants and animals. By the time we were finished with it, the native people were extinct, the river’s waters were so toxic and filled with human waste that 2/3 of the catfish now have cancerous tumors, and swimming in the river was pronounced illegal out of public health concerns. The building of a nation brought the Anacostia wilderness to its knees almost two centuries before The Wilderness Act was signed. It didn’t stand a chance. 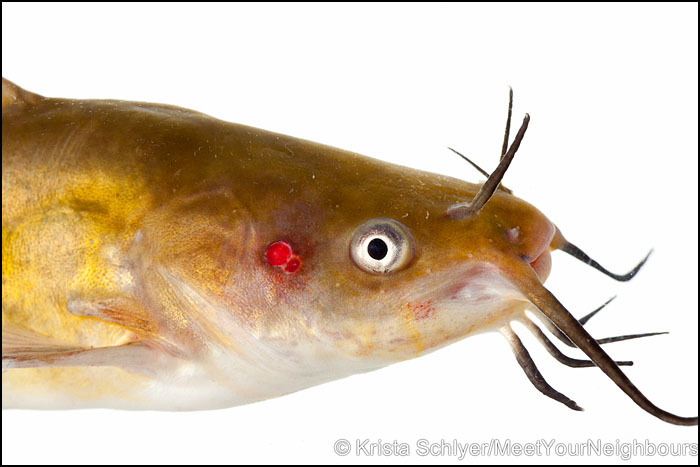 Brown bullhead catfish with a cancerous lesion in the Anacostia watershed, Washington DC. But a handful of designated wilderness areas along the US-Mexico borderlands, did stand a chance, and still do, in theory. Lines drawn by Congress, or at least approved by them, continue to demarcate roadless wild lands under the Wilderness Act, but in name only. Since 2005 and the Real ID Act, the borderlands have been stripped of environmental protections by the US Congress. The Wilderness Act no longer applies along 2000 miles of some of the wildest most biodiverse lands in the United States. It was a matter of political expediency. Despite the presence of many endangered species and imperiled ecosystems, (and despite ample evidence that border walls and militarization do not stop human migration), the government didn’t want environmental safeguards slowing down the military machine. 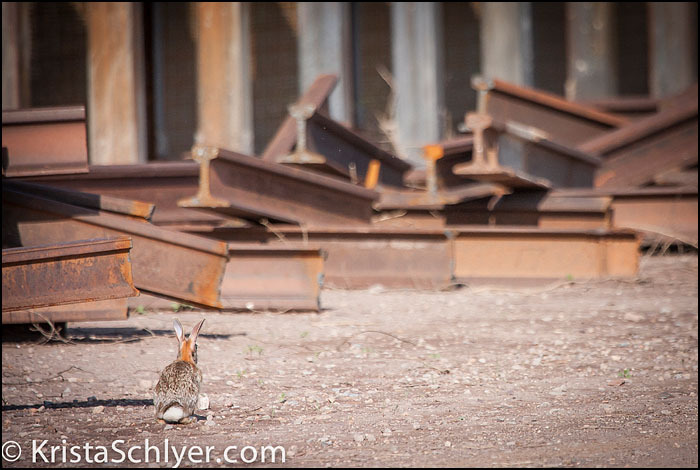 Desert cottontail rabbit at the US-Mexico border wall under construction in southern Arizona. A different type of machinery stands at the door of a third location, the Clearwater Basin in Idaho, one of the United States’ wildest remaining mountain landscapes yet to receive protections under the Wilderness Act. Advocates began proposing a wilderness designation for the Clearwater decades ago, only to see the acreage whittled away in the interest of timber extraction, road construction and off-road vehicle use. 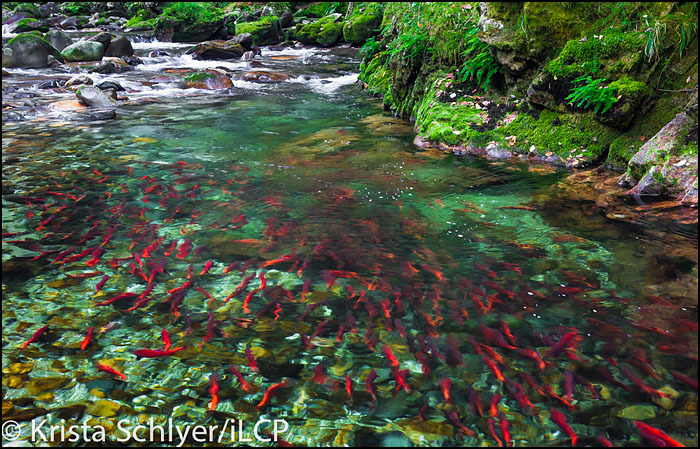 Salmon heading upstream to spawn in the Clearwater Basin. All three of these places present a different struggle and opportunity within the discourse about wilderness. The Anacostia offers a cautionary tale about what often becomes of a wilderness unprotected. In this watershed the most economically disadvantaged citizens of the nation’s capital continue to eat fish and swim in a river long ago abandoned by most as a toxic waste pit. But even now, despite centuries of abuse and neglect, there are opportunities to undo some of the harm we have done and re-create this river through restoration and in some places re-wilding. 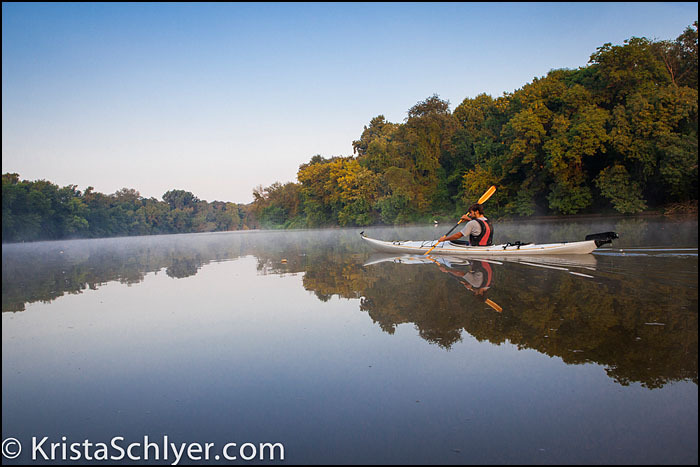 Kayaker on the Anacostia River. In the borderlands, where every day the US government is eroding The Wilderness Act and wilderness itself, environmental protections could be returned to the land, if Congress were just to act in good faith and honor our most treasured environmental laws. 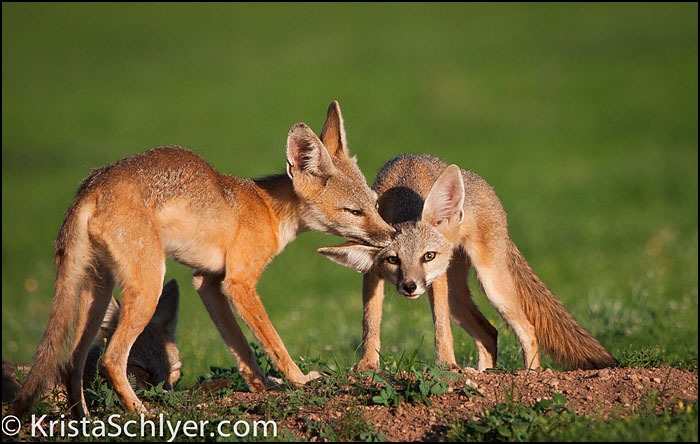 Kit foxes in the US-Mexico borderlands. The Clearwater, its crystalline waters, salmon runs and old growth cedar forests, are on the precipice of protection, awaiting the state and local communities to express their faith in the importance of clean water and air and open wild spaces where people can get lost and learn to love the land in a way no other experience can afford them. And all three of these places offer one singular hope for the wild species that inhabit them, the hope of a future to live their lives in this great ecosystem of Earth. The beaver, catfish and cedar waxwings of the Anacostia River; the jackrabbits, green jays and kit foxes of the borderlands; and the salmon, black bears and wolves of the Clearwater, all depend on us. Our pact with wilderness, made 50 years ago this week, and our commitment to honor that pact, will determine their future, and ours. 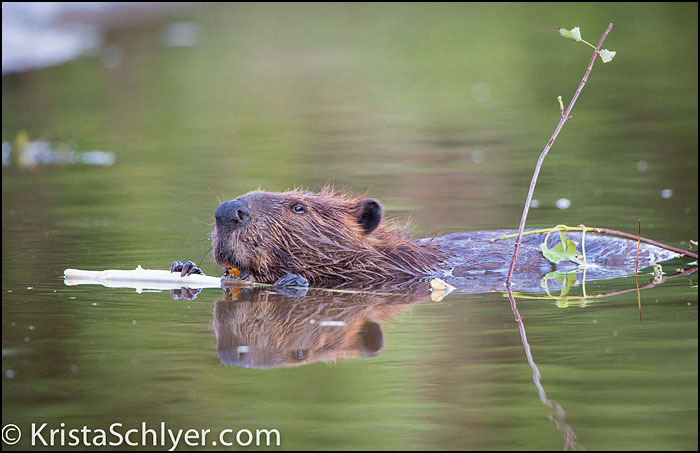 Beaver on the Anacostia River. Krista Schlyer is a photographer and writer living in the Washington DC area. She is a senior fellow in the International League of Conservation Photographers, and author of the book Continental Divide: Wildlife, People and the Border Wall, winner of the 2013 National Outdoor Book Award. View more her work on her website at www.KristaSchlyer.com. Schlyer will give a presentation on “Nature At The Borderlands” in one of the breakout sessions at the 2015 NANPA Summit taking place in San Diego, California from February 19th – 22nd. To learn more about the Summit and to register for this exciting and inspirational event, please visit www.naturephotographysummit.com. Early bird registration ends on October 31st!